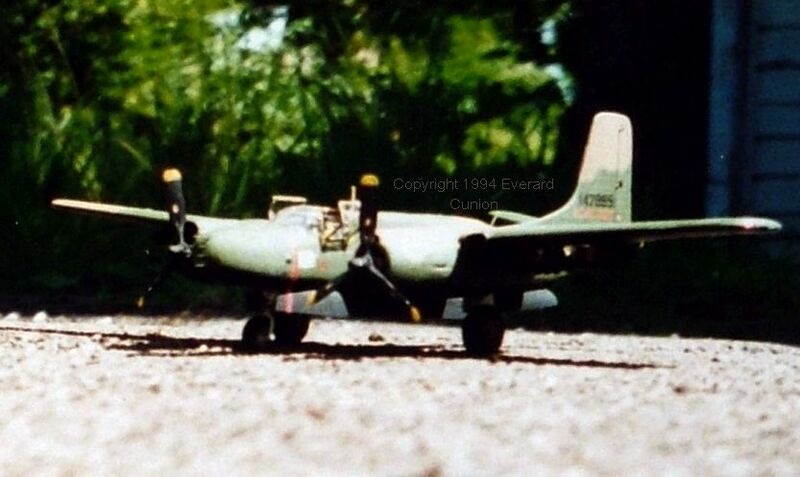 The Douglas A-26 Invader was a light bomber first used in World War 2, for which the Airfix 1/72 scale kit includes markings as well as for its use in Korea. 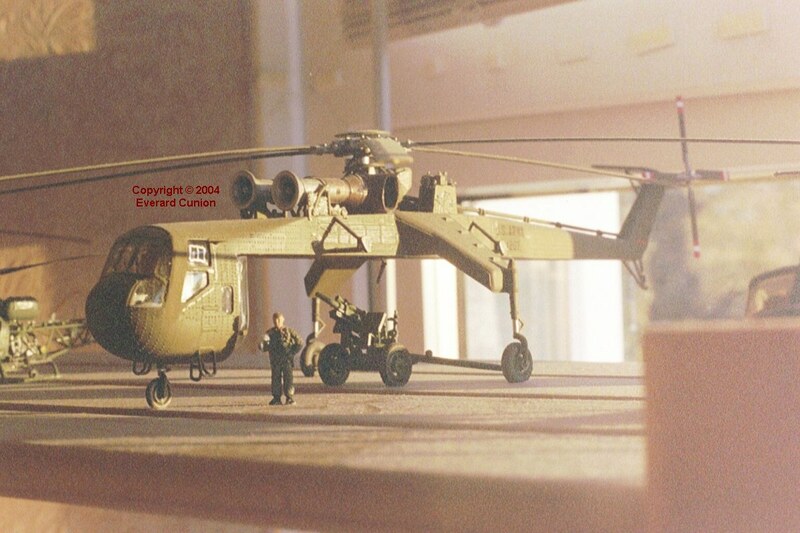 I took this photo in 1994 with a film camera. 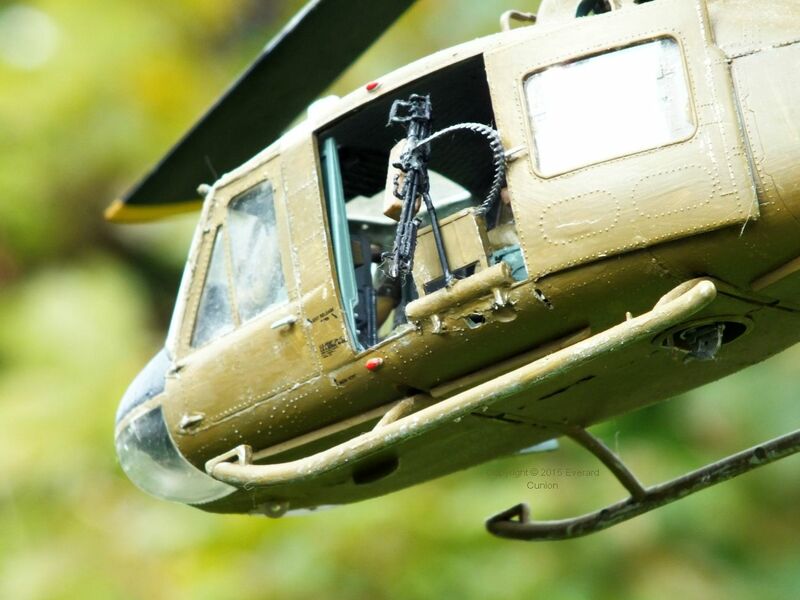 I am fairly sure this 1/35 scale Huey is the Academy kit. The four soldiers (by Dragon, if I recall right) constitute a real kit build; every frag and smoke grenade, canteen, insect repellant bottle, arms, legs, head, helmet/hat, is a separate part that must be glued in place and painted. 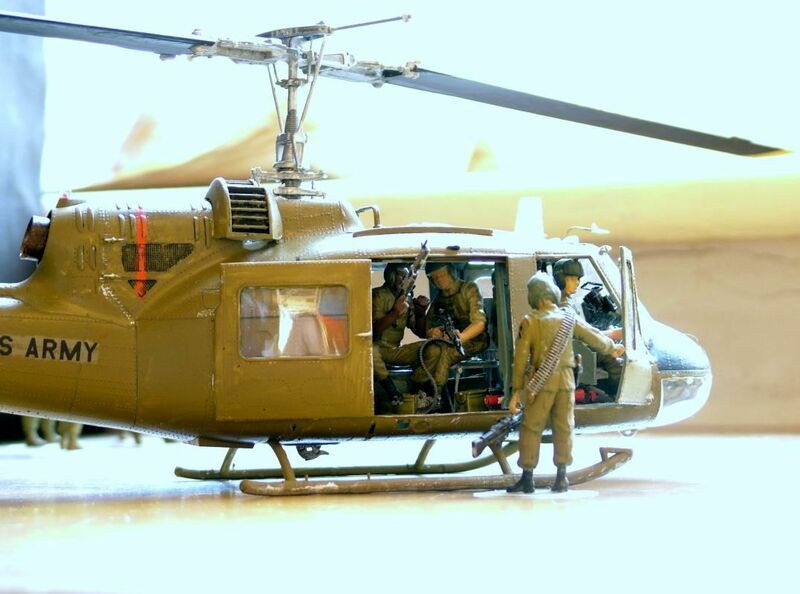 They are supposed to be 1/35th scale, like the Huey, but they are too large. 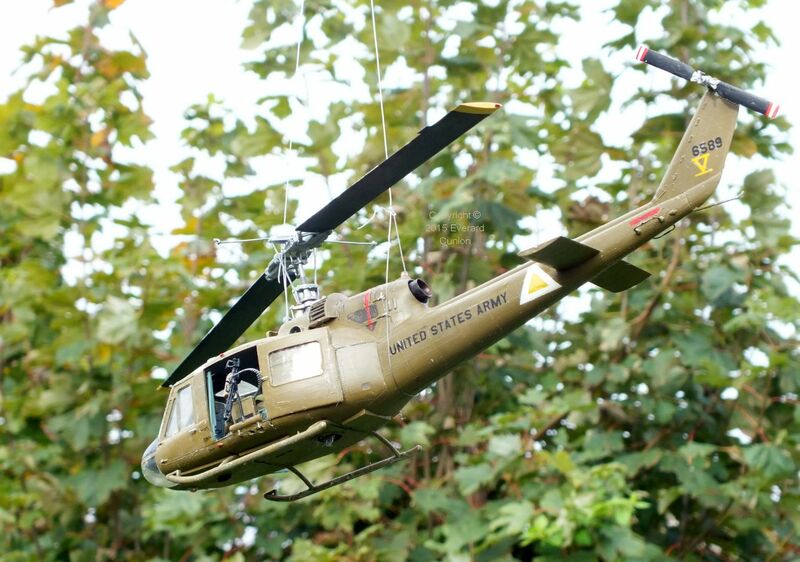 The UH-1 was originally designated HU-1, hence ‘Huey’. 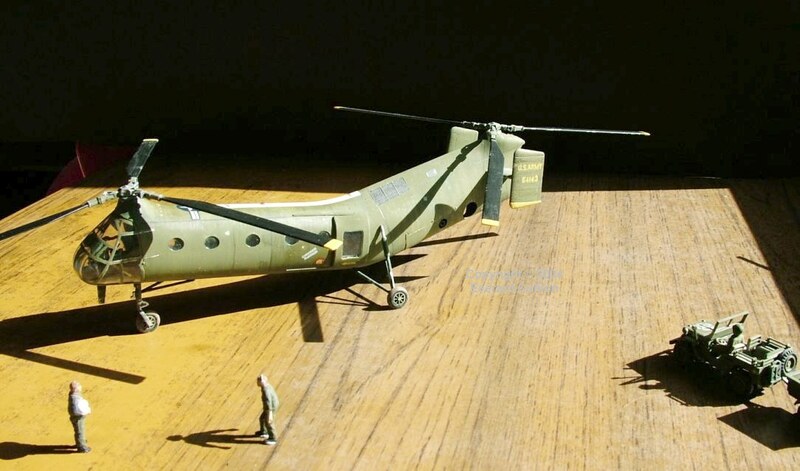 The standing crewman, unlike the other soldiers, is the correct scale. 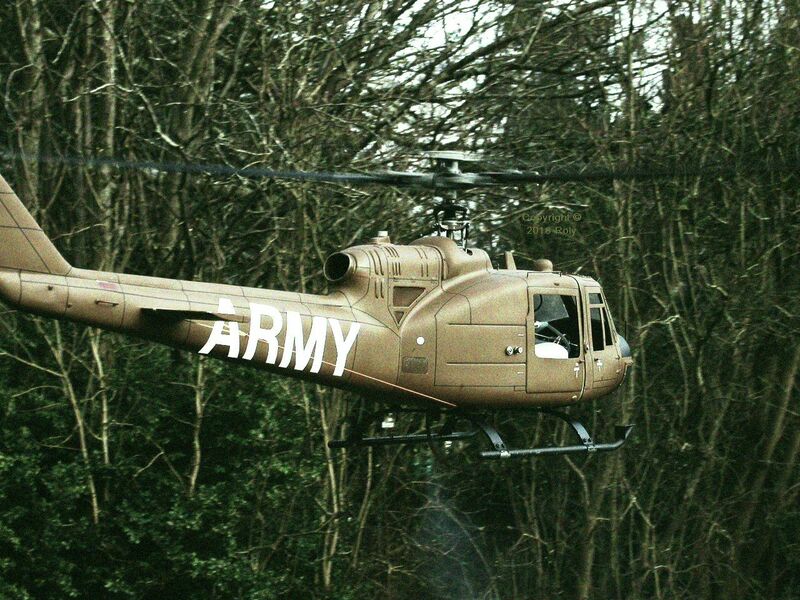 I cropped the photos, altered the colours, and added some graininess so they look more like they were taken with a film camera in the 1960s. 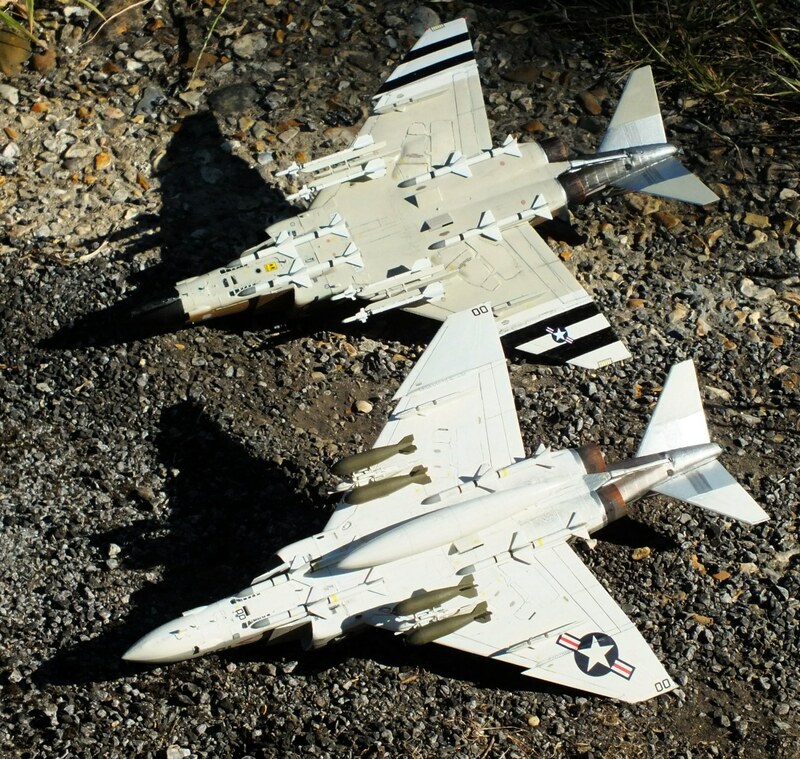 The single seat and single engine F-8 Crusader was known as the last of the gunfighters because its successor, the two seat and twin engine F-4 Phantom, was initially a missiles-only interceptor. 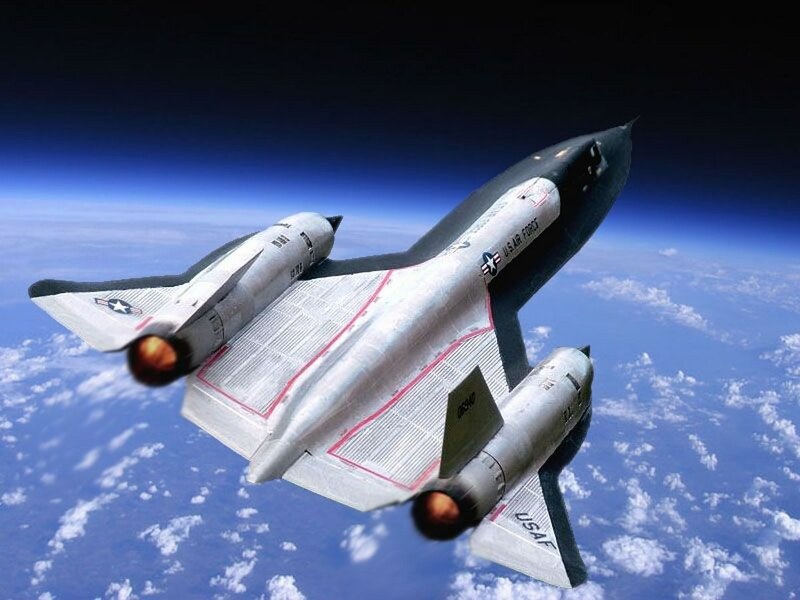 The Lockheed U-2 is basically a sailplane with a jet engine from an F-104 Starfighter. 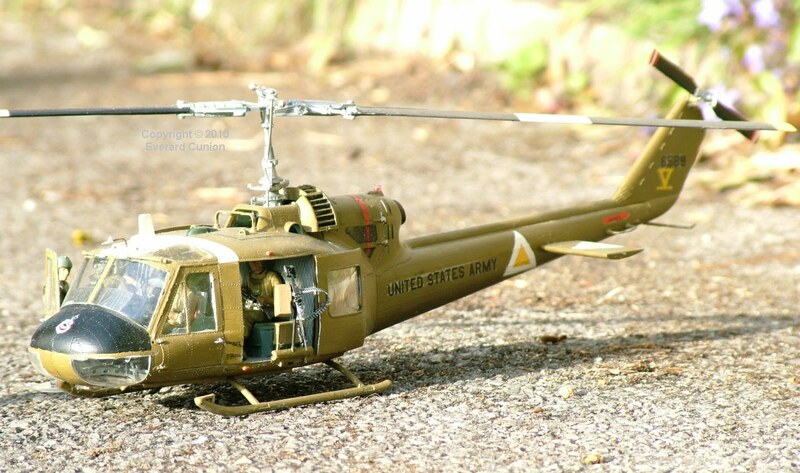 This is the 1/72nd scale Airfix kit, which apparently is the same as the Italeri kit. 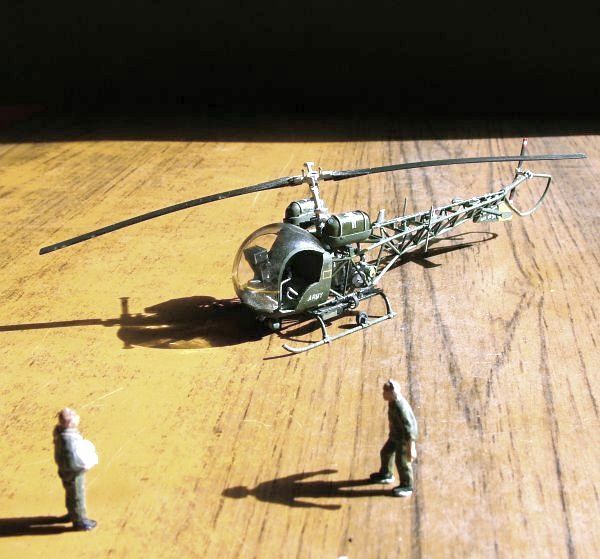 The figures (which do not come with the kit) are each one inch tall. The Mohawk was a weird airplane in a weird war. 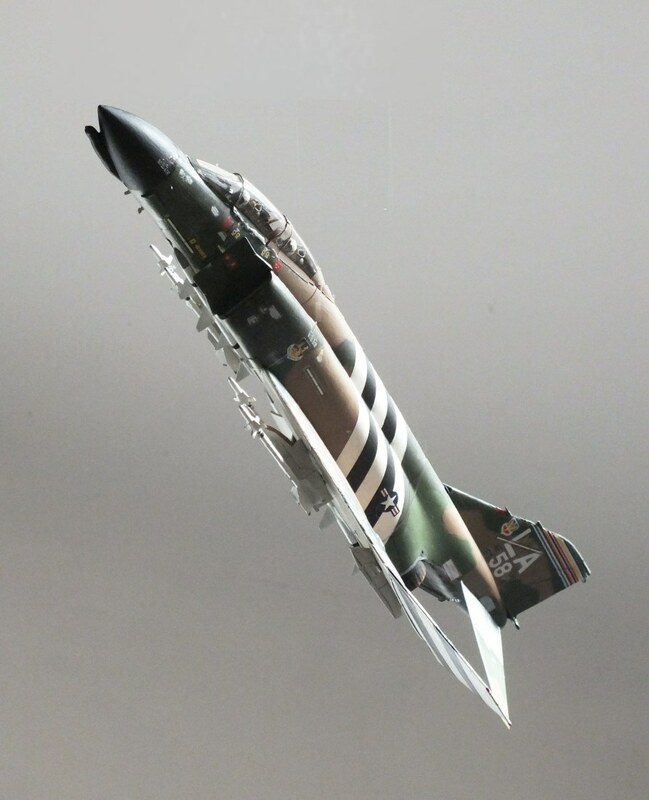 The F-4, initially developed as a navy interceptor, was so good it was also used by the US Air Force and the Marines as well as by the air forces many other countries including Britain. 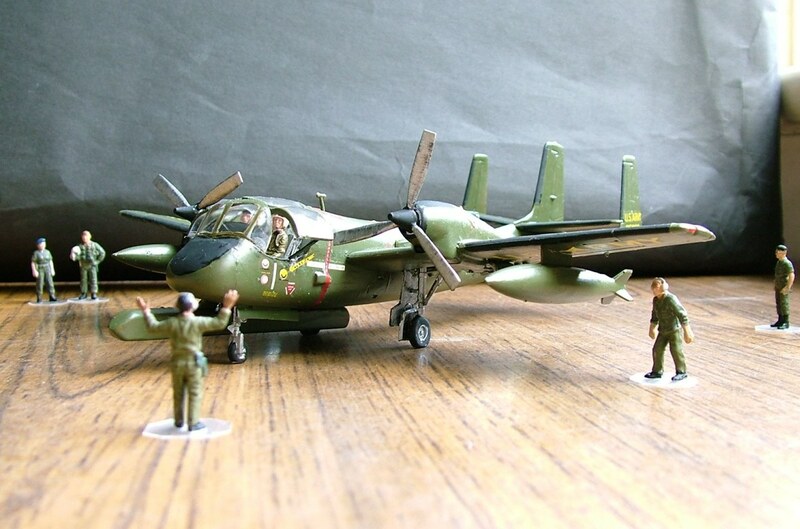 This 1/48th scale model is I think a Hasegawa kit. 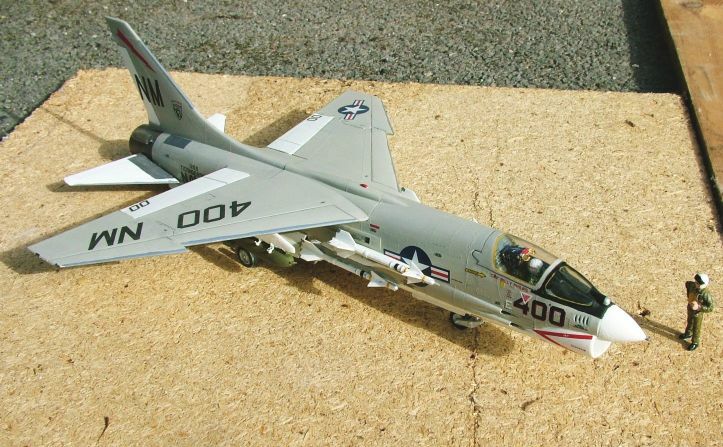 This F-4C of the 58th TFTW is the 48th scale Hasegawa kit. 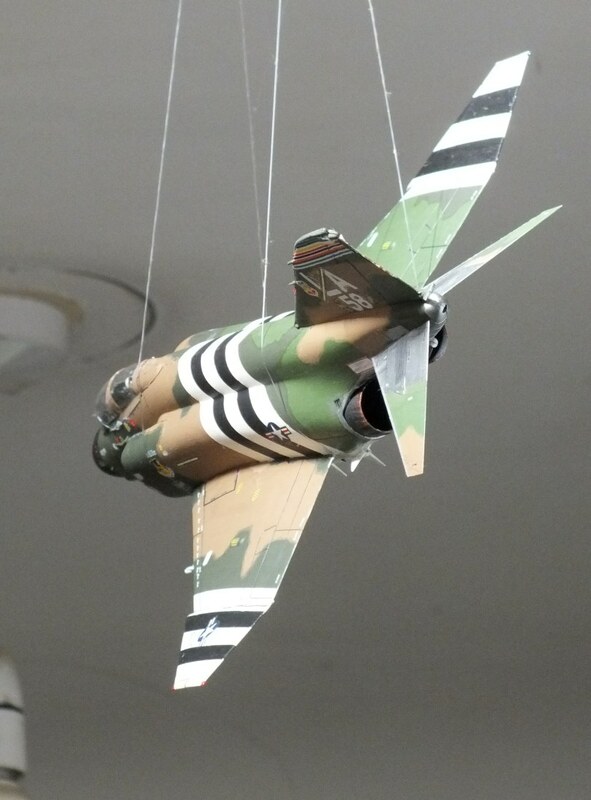 Unlike the Navy model, on this one the canopy is a poor fit. (Why are they different? Everything else is the same!) I will get round to making it better some time. In this photo I Shopped out the hanging lines as best I could. Here are the undersides of both models. 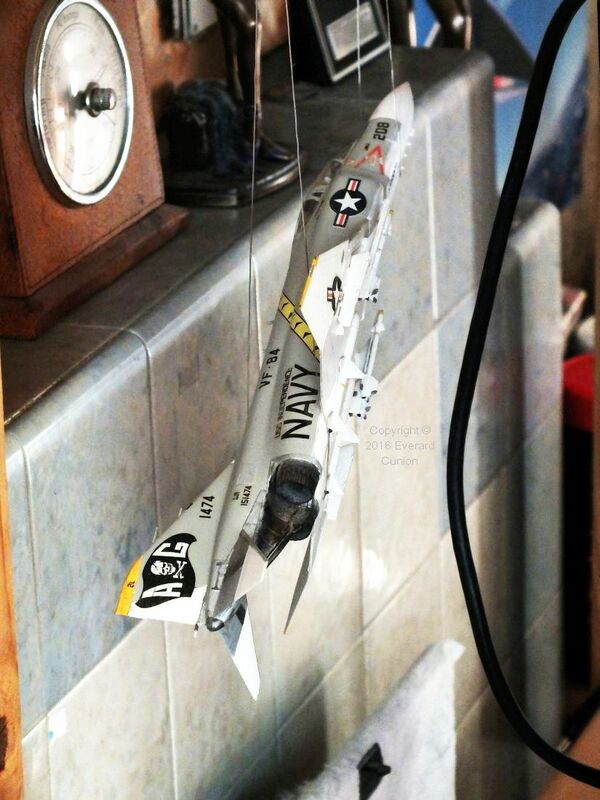 This is a 1/72 scale F-4 I bought in 1995, when my mother was still alive (I mentioned it to her) but she died before I completed it. Here it is at the back of my office/studio in February 2016. It is 9.5 inches long. 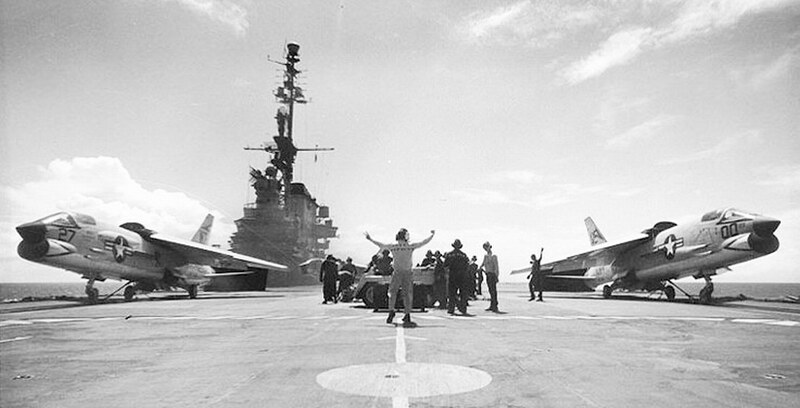 …a group of local pilots were drinking beer around a campfire one night when one of them told the story of how he had been flying in the Owens Valley and every time he got low a military fighter would swoop in and make him a thermal. Everybody laughed, told him he was full of crap, and the story was dismissed as nothing more than a tall tale. 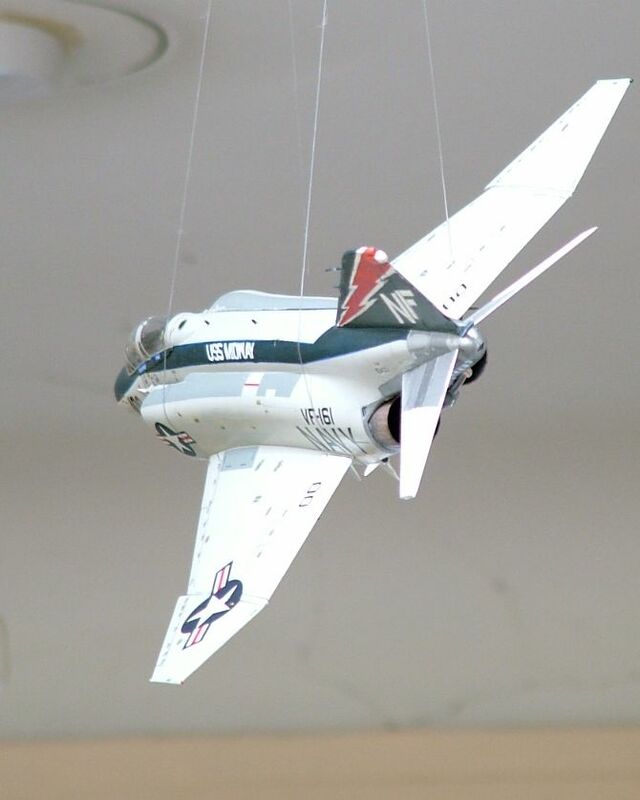 In the article, hang glider pilot and astronaut Mark ‘Forger’ Stucky describes flying his 20-ton supersonic F-4 Phantom low in the Owens Valley and repeatedly cycling his afterburners to trigger a thermal for a friend of his in a 20 mph hang glider struggling to find lift. 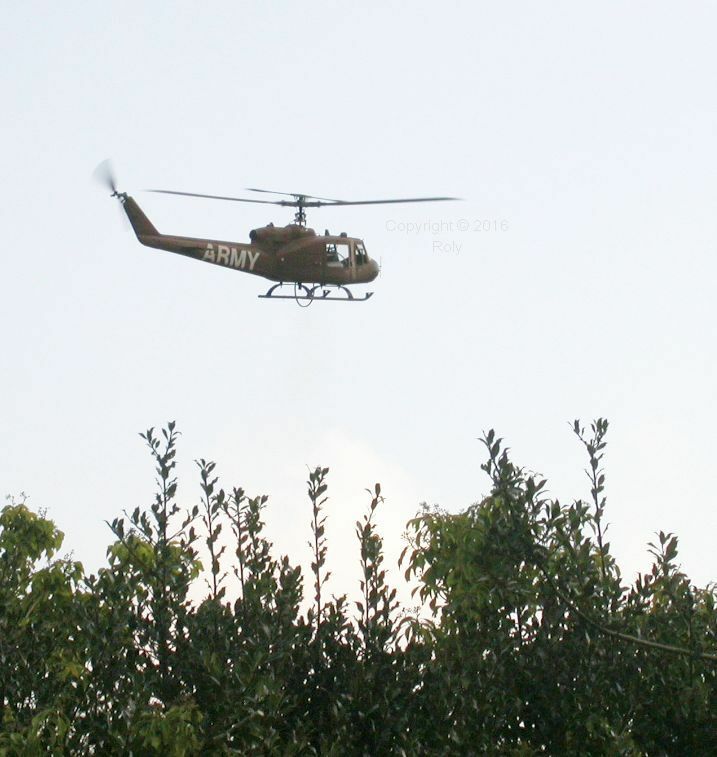 The H-21 was soon replaced by the jet-engined UH-1. 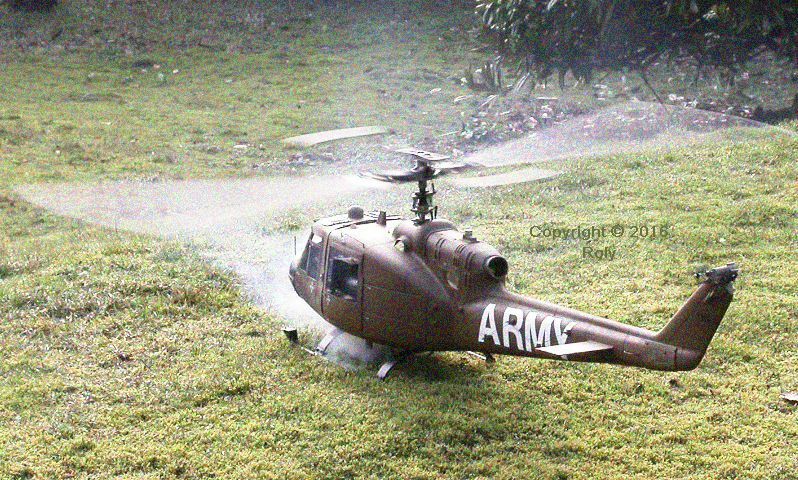 This 1/72 scale Bell H-13 is a small model. 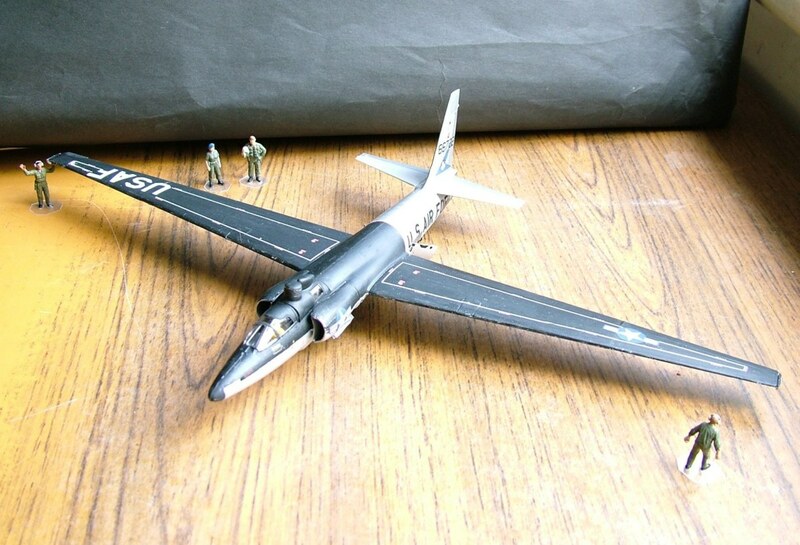 In contrast, this Airfix 1/72 scale Martin B-57 Canberra is fairly large. 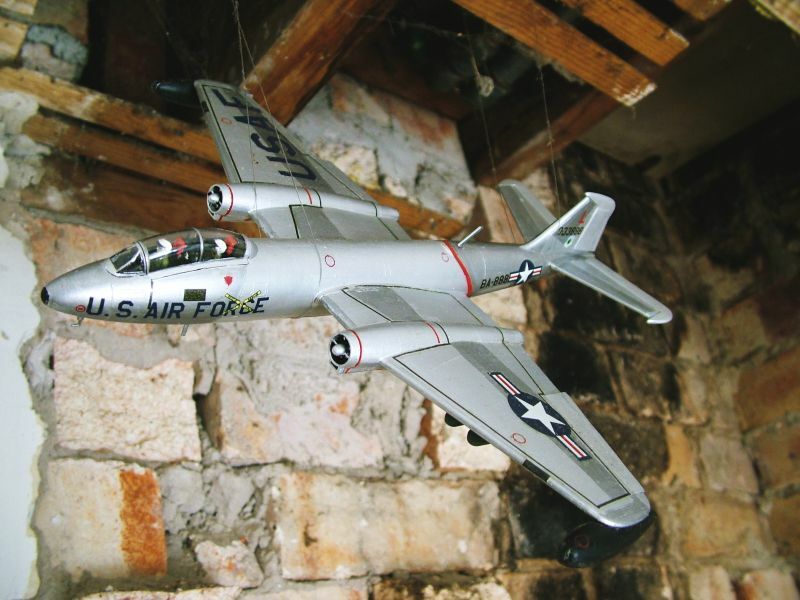 Originally a British design, the B-57 light bomber was used in Vietnam by the US Air Force and by the Royal Australian Air Force. One of my internet friends combined a photo of my Revell 1/72nd scale SR-71 with this backdrop, putting it on the edge of space. Feel the heat from those exhausts! 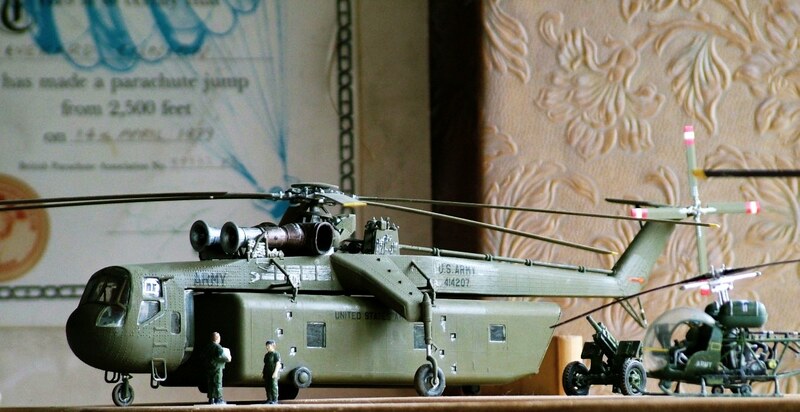 I am almost certain this was a Revell kit. Hang Gliding & Paragliding Vol39/Iss03 Mar 2009 containing an article by hang glider pilot and astronaut Mark ‘Forger’ Stucky, in which he describes flying his 20-ton supersonic F-4 Phantom low in the Owens Valley and repeatedly cycling his afterburners to trigger a thermal for a friend of his in a 20 mph hang glider struggling to find lift.